Established in 2010, the Heart of Borneo Rainforest Foundation is working hard to protect the biological, ecological, and cultural richness of the rainforests of Borneo. Our primary focus is the Heart of Borneo Rainforest – the single largest stretch of rainforest left standing in south east Asia, the third largest rainforest on earth, and perhaps the most biodiverse. Half a million indigenous people still rely on this rainforest, as do countless species (known or as yet undiscovered), many of which are unique to the island. 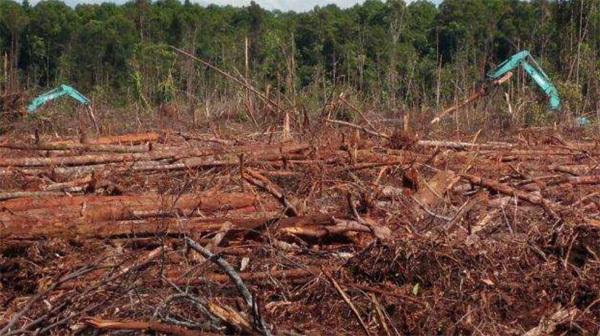 Sadly, over the past half a century, this rainforest which once covered the entire island of Borneo has been ruthlessly, systematically devastated for profit. Species have been forced to extinction, and many more today face that imminent threat if more isn’t done to protect their habitats. The once nomadic or semi-nomadic indigenous peoples of the island, such as the Dayak, Penan, and Iban, have been forced to settle, and watch powerless as the forest that provided for them for centuries is destroyed. The tri-lateral Heart of Borneo Initiative was signed in 2005 by the three nations that share the island of Borneo: Indonesia, Malaysia, and Brunei. This was a historic agreement by three nations to share responsibility for protecting this vanishing ecosystem, focusing on the remaining intact band of forest in the center of the island, straddling the mountains that run from Mt Kinabalu in the North East, down to the Schwaner Range in the South West. The initiative is not a declaration of an international park, nor is it a statement to conserve the designated area. It is an agreement to sustainably manage the area. In truth, almost the entire area covered by this agreement is licensed as a concession for logging, agriculture (including palm oil), and even mining. The WWF were instrumental in facilitating this agreement, and maintain an office in Singapore (the Heart of Borneo Global Initiative) to support coordination between the three governments. We established the Heart of Borneo Rainforest Foundation to support the conservation of the rainforests of Borneo, using the Heart of Borneo as an iconic focal point. We are a small, international, innovative team doing big things on the ground, and online. We believe that knowledge is power.